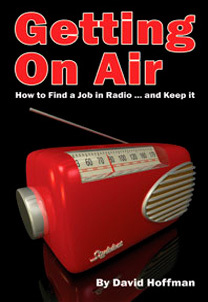 A great way to add a professional look to your mobile show is through the creative use of ‘spotting’. With tightly focused pinspots, you can immediately shine attention on anything at a gig or venue - from a wedding cake, to performers on stage, or scenic elements in a room. ADJ’s latest new piece of equipment is a dedicated spotting tool – the TRIBAR Spot LED pinspot system. Ideal for DJs and mobile entertainers, this lightweight portable system consists of 6 pinspot heads, each powered by a 5-watt Tri-Colour RGB LED. In addition to producing a brilliant beam of colour, each of the heads features a tight 12° beam angle, to create the ‘perfect spot’. An optional 6° lens is also available. Each of the pinspots in the TRIBAR Spot system also includes 0-100% dimming, strobing and 32 built-in colour macros. What’s more, these features can be controlled individually on each head via DMX, giving you the ability to create different spotting effects simultaneously in different areas of the room. Flexible mounting options add to the TRIBAR Spot system’s versatility. Its 6 pinspots come mounted on their own bar, which itself may be either hung from truss, set on the floor, or mounted on a tripod stand. 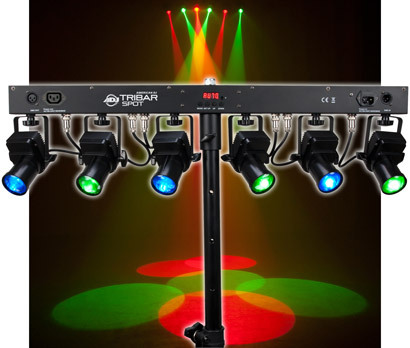 The TRIBAR Spot’s features can be controlled manually or via DMX (there are 7 different DMX channel operation modes). Manual control modes include Auto (Program Run), Sound Active, and Static Colour modes. When in Auto and Sound Active modes, it will run to its own built-in programs. The TRIBAR Spot is also compatible with the ADJ LED RC wireless remote controller (sold separately) for easy cordless control. To cover larger areas, up to 25 TRIBAR Spot systems can be linked together via 3-pin XLR and IEC power cables. The system’s flicker-free LEDs draw very little power (40 watts maximum for the entire system), and will run for 50,000 hours without replacement. With the entire system weighing just 4.9kg and measuring 800 x 90 x 230mm, the TRIBAR Spot is perfect for mobile use.